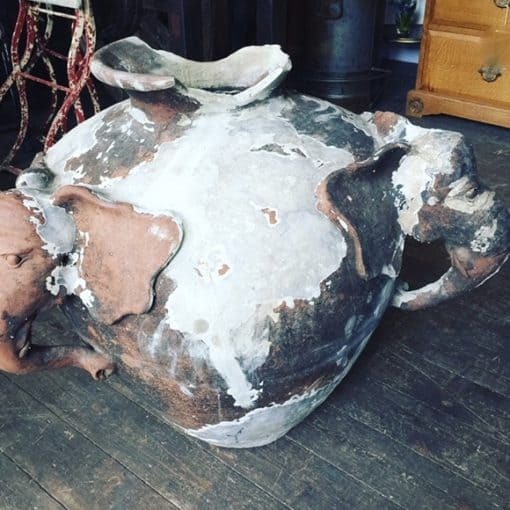 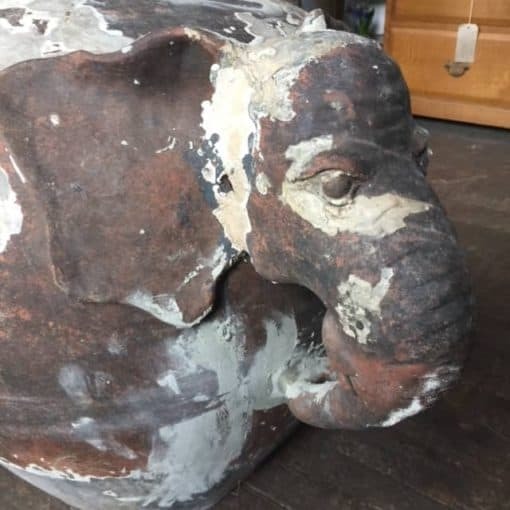 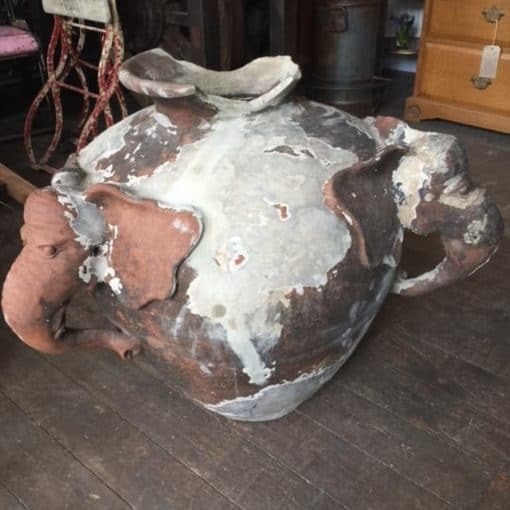 A lovely large distressed terracotta pot formed of three large elephant heads. 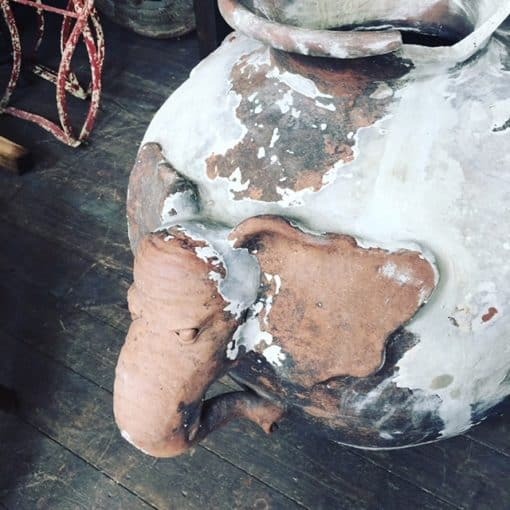 Lots of damage and old repairs but has the look and very decorative! Dimensions 67cm H x 79cm wide.